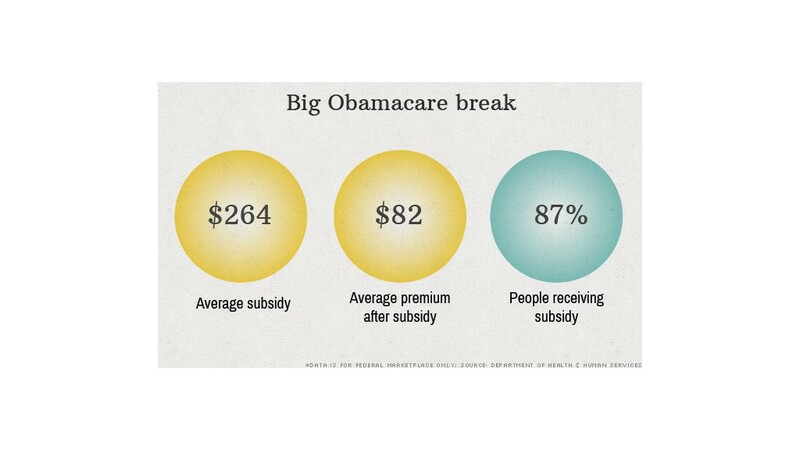 Many of those signing up for Obamacare insurance are receiving a subsidy. The federal government is shelling out $264 a month, on average, for people who qualify for premium subsidies on the Obamacare federal exchange. That leaves the subsidy-eligible with an average bill of $82 a month for health insurance after the hefty credits, according to a report issued Wednesday by the Department of Health and Human Services. Some 87% of the 5.4 million people who signed up through healthcare.gov, which handled enrollment for 36 states, qualified for subsidies. The department is still gathering data for the 14 states and District of Columbia that ran their own exchanges, which attracted roughly another 2.6 million sign-ups. 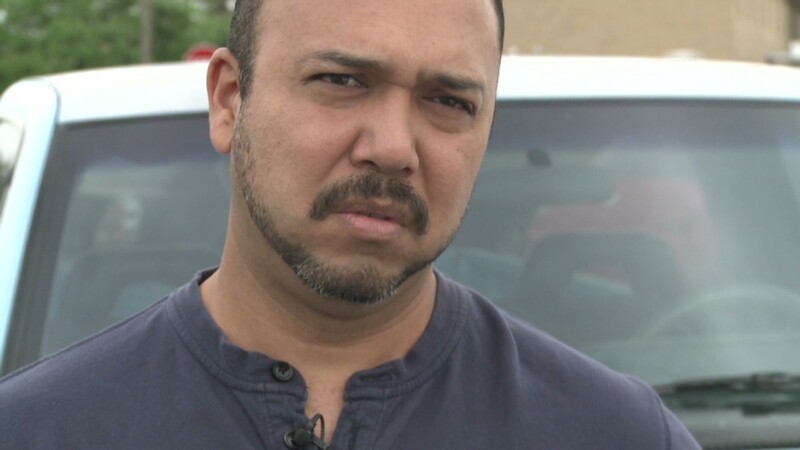 Obamacare came under criticism from some shoppers on the exchange after they found the premiums to be rather pricey. Those who don't qualify for subsidies -- and even some who do -- may find themselves paying hundreds of dollars a month for coverage. This has prompted the administration to tout the share of people who qualify for the premium credits, as well as the size of the average subsidy. Senior HHS officials declined to estimate the total cost of the subsidies for 2014, but the Congressional Budget Office projected it would be $12 billion. Anyone earning up to 400% of the poverty line -- up to $45,960 for an individual and $94,200 for a family of four -- was eligible for a subsidy. The subsidies were pegged to the cost of the second-cheapest silver plan in one's area. People could choose from four coverage tiers ranging from the cheapest, bronze, to the most expensive, platinum. The lower one's income, the larger the credit. Someone earning $17,235 a year paid no more than $57 a month for that silver plan, while those with incomes of $40,215 forked over no more than $318 after subsidies. Those signing up could pick the cheapest silver plan or a less expensive bronze plan and pay an even lower monthly premium. Some 46% of those eligible for subsidies are paying less than $50 a month, and 69% are paying less than $100, the report found. In some cases, the plan may cost nothing. Consumer advocates have said that increasing awareness of the subsidies is key to boosting enrollment. Many of the uninsured have said they aren't signing up because they perceive the coverage to be too costly. The report also looked at the competition among plans in the exchange. Shoppers had five insurers and 47 policies to choose from, on average. The more insurers, the lower the premiums, officials said.